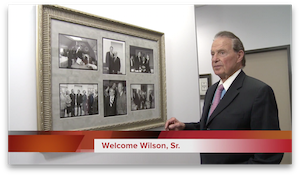 Recently, Welcome Wilson, Sr. a close friend and former business partner to the late Jack Valenti, walked through our office. 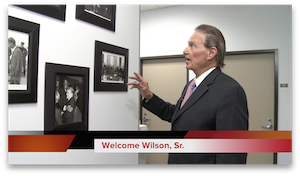 Every few steps, he paused and shared the rich backstories behind many of the photographs and awards that decorate the walls. 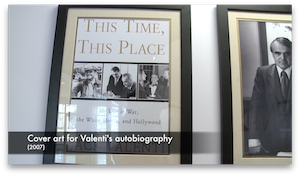 This experience was filmed and transformed into a virtual tour that celebrates Jack Valenti's life while offering a deeper look at his many accomplishments - from being a decorated World War II pilot to writing for The Daily Cougar to presiding over the Motion Picture Association of America for 38 years. Jack J. Valenti was born September 5, 1921 in Houston, Texas. He started evening classes at UH at the age of 16 while working as a hall-boy for Humble Oil Company. 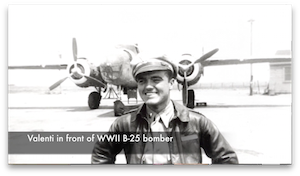 He graduated in May 1946 after serving three years as a bomber pilot in World War II where he flew in 51 combat missions. At the University of Houston, Jack Valenti was, among many other things, the President of the Student Association for the school year 1945/1946, Vice Chairman of Frontier Fiesta in 1941, and staff member and columnist for The Cougar newspaper. Jack Valenti was the first UH graduate to get an MBA from Harvard University in 1948. He returned to Humble Oil as an executive in the advertising and public relations department. Jack Valenti was appointed by Governor John B. Connelly to the first Board of Regents after UH became a public state institution in 1965. 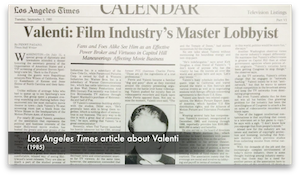 After leaving the advertising and promotion department of Humble Oil (now ExxonMobil), Jack Valenti co-founded the very successful advertising firm Weekley & Valenti. Their first client was Conoco. Jack Valenti wrote a weekly column for the Houston Post, Houston’s second largest daily newspaper. With others, he was an owner of Jamaica Beach and Tiki Island in Galveston. He was a major stockholder and director of banks and savings and loan associations. His agency handled the advertising for the Kennedy-Johnson ticket in 1960, after which he married LBJ’s long time top assistant, Mary Margaret Wiley. 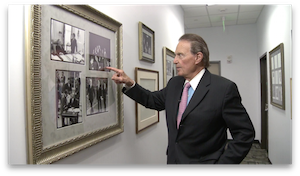 Jack Valenti was the first person hired by Lyndon B. Johnson when LBJ became President. When LBJ was told at Parkland Hospital in Dallas that President Kennedy was dead, the first words out of LBJ’s mouth: “Get me Jack Valenti.” Valenti was in the famous picture of LBJ being sworn in on Air Force One in the Dallas airport. He flew with LBJ to Washington, D.C. that day and lived for months on the third floor of the White House with the new president. While serving LBJ, he was hired as President of the Motion Picture Association of America. His headquarters were across the street from the White House and he had offices in New York, Paris, Rome, Tokyo and London. He knew every king, queen, Pope, President and Prime Minister in the world. He was the chief world-wide lobbyist for the U.S. Motion Picture industry and was responsible for negotiating with eastern European countries in the 1980s to get American movies shown behind the Iron Curtain of the Soviet Union. He served as President of the MPAA for 38 years and had an office there as a consultant until he died. Jack Valenti received an Honorary Doctorate from the University of Houston in 2002. In addition to a successful business career, Jack Valenti was extraordinarily proud of his family, including his loving wife of 45 years Mary Margaret, and children Courtenay, John and Alexandra.